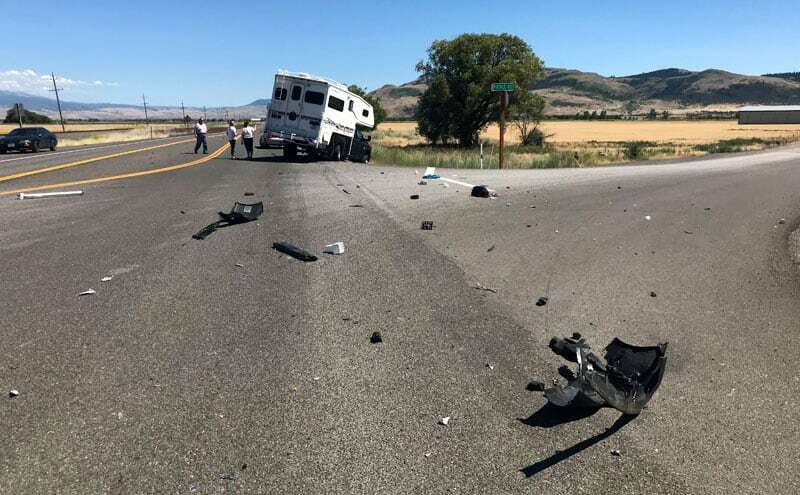 Truck Camper Magazine reveals nine critical lessons from their major truck camper accident. Hopefully you will never need this information, but it could really save your bacon if you do. Click here to get a printable PDF copy of this article. In over thirteen years of truck camping, over a half-dozen cross-country trips and countless other long-distance adventures, we can count the minor encounters with foreign objects on one hand – with fingers left over. In 2005, I backed into a volcanic formation in Idaho’s Craters of the Moon National Monument creating a small dent in our camper’s bumper. A few weeks later, I caught a dually fender on a fence post while avoiding a Class A motorhome. That incident was famously followed with the words, “Okay fine! You drive until you hit something!” Angela proceeded to exclusively drive the rig without incident. She did eventually let me drive again – over a year later. Since then we had a few glancing blows with tree limbs and brush, but that was it. Then July 11th, 2018 happened. In a nutshell, we were T-boned at about 40 miles per hour by a Toyota Camry. The impact totaled our truck, seriously damaged our camper, and left us very sore. You can read the full story behind that insane experience in the article, “CRASH! The TCM Truck Camper Accident Story”. Nine months later, we want to share with you what we learned from this experience. Some of this may seem like common sense, but not everything fits that description. If you ever find yourself in a truck camper accident, these tips will make a big difference. You can’t count on having access to your rig after an accident. Your rig might be towed away, and you might require medical attention. If you don’t have pre-accident photographs of everything, it may be too late. Above: Take wide shots of the interior – kitchen, dinette, bathroom, cabover, etc. Having current and clear photographs of your truck, camper, gear, add-ons and camping stuff is invaluable. 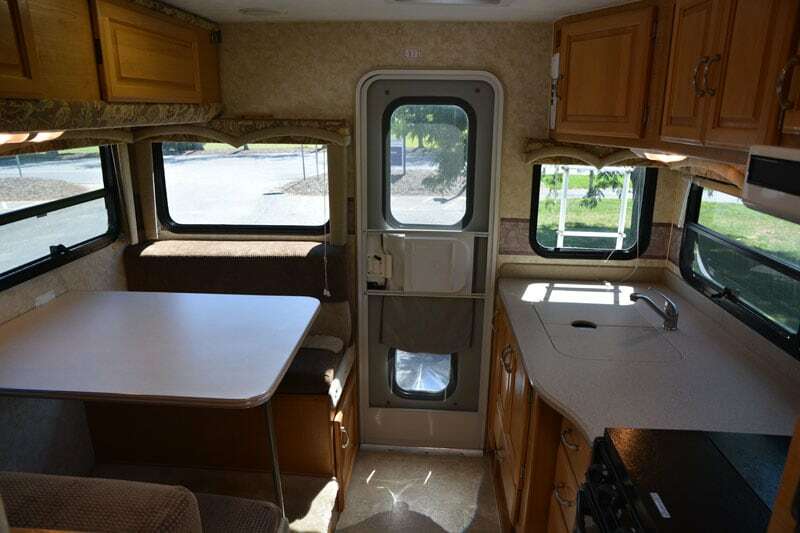 These photos should include the exterior and interior of the truck, camper, and everything stored in interior and exterior compartments and cabinets. 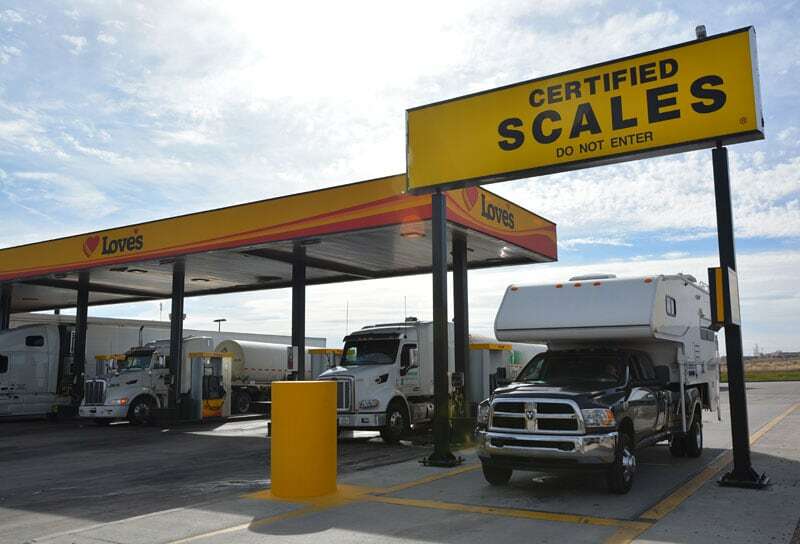 After an accident, it’s up to you to be able to prove the condition your truck and camper. It’s up to you to prove what contents were in your truck and camper – and their condition. 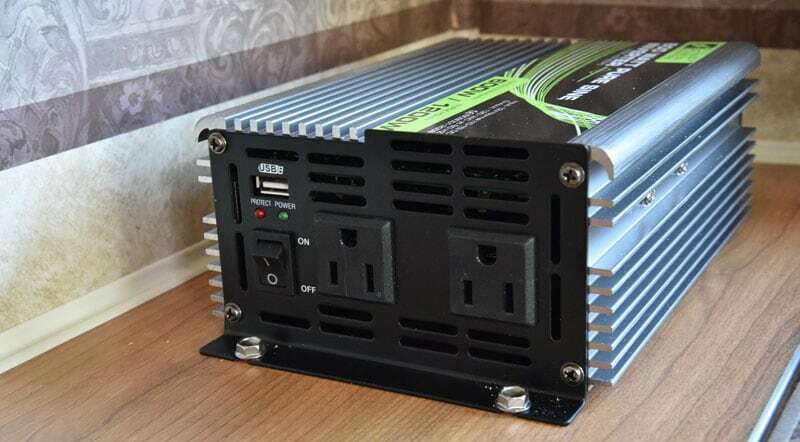 Add-ons are particularly important to photograph and document including running boards, suspension modifications, inverters, solar panels and controllers, etc. Your insurance company should ask for photographs of your truck, camper gear and camping stuff after the accident. If they don’t, they will welcome your photographs as evidence of ownership and value. If you don’t have current and clear photos of your truck, camper, gear, add-ons and camping stuff, take them now. We were fortunate to have photographs of our truck, camper and gear from various magazine photoshoots. We did not have photos of our stuff, but were lucky to have access to the truck and camper after the accident. That said, the accident physically ejected the contents of the rear passenger’s side exterior compartment all over the pavement. This included our tool bag which exploded with tools over a large area. Some tools were damaged while others were lost. Having a pre-accident picture of what was in that compartment would have been helpful for our claim. The aforementioned photographs help to prove what you had at the time of the accident, but receipts may be required to support the value of those items. This is especially true if you have unique items or things that cannot be quickly replaced at the next Walmart. Examples might be your AGM batteries, jack stabilizers or a satellite dish system. You can’t count on your insurance adjuster to know what these items are, or what they’re worth. It’s your job to make that case. Our insurance company asked us to submit a list of stored items that were destroyed in the truck and camper. Food, kitchen wear and toiletry items that had broken on impact and had to be thrown away were the bulk of this list. Fortunately, our camera and computer equipment survived unscathed. 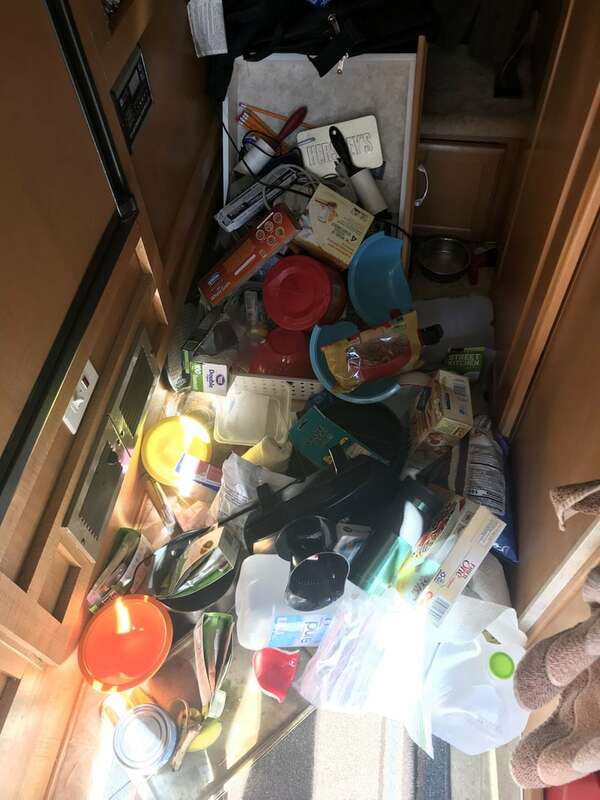 The only high-ticket item in the camper that was destroyed was a tube amplifier – an admittedly unusual item to be camping with. The value of this item was relatively easy to prove as it’s still in production. About a year before the accident we had purchased six brand new Michelin LTX A/T tires. The tires were over $1,700 installed and only had about 10,000 miles on them. We did not have the tire receipt with us, but were able to have the insurance company call our tire retailer to prove our cost. That information was factored into the offer for our totaled truck. When a vehicle is totaled in an accident, you sign over the vehicle’s title to the insurance agency. In turn they give you a check for the value of your vehicle. We had our vehicle’s title with us. This was very convenient as we were able to send the title into the insurance company for settlement. However, we have since been advised that having your title with you can be dangerous. If the truck and camper were stolen, the thieves would have the title and could forge a version in their name. The title would also be destroyed if the vehicle was burned or flooded. A safer alternative to carrying your vehicle’s title is to give it to a trusted friend or family member or to have it in a safety deposit box. A family member or friend can then overnight you the title in an emergency situation. This is what we will be doing from now on. We had our title with us in a hidden spot in our camper. When all the insurance issues were settled, we signed the title over to our insurance company and sent it in via Priority Mail. In return, the insurance check for our totaled truck was expedited to us and we were able to use those funds for our new truck. Since the accident we have learned that carrying the title is not advisable. We will now be leaving our new truck’s title with family. Your truck’s window sticker is the best record of the year, make, model, configuration and MSRP price of the vehicle. Every option is named, numbered and valued for insurance appraisal. 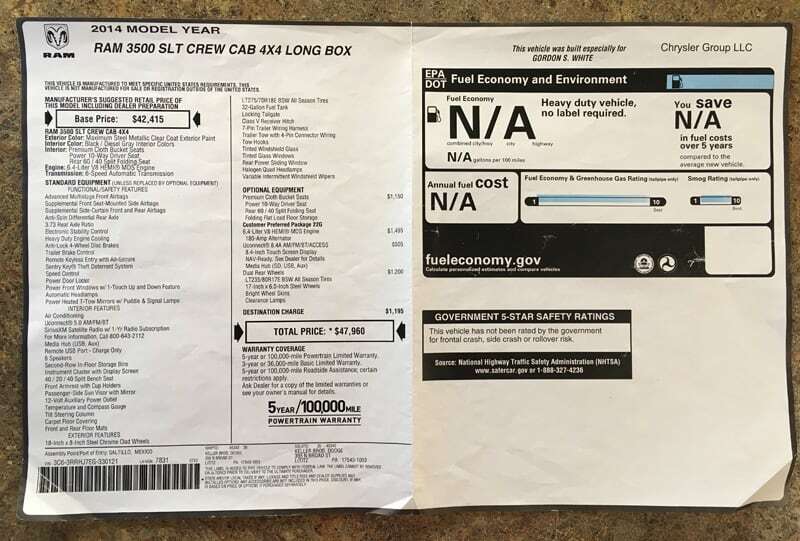 Keep your truck’s window sticker with the title. After an accident, it’s a complete and detailed record of your truck. We had our window sticker with us. Not only was the window sticker helpful with the insurance company, but it also reminded us of what we needed for our new truck. If at all possible, you want to avoid further damaging your truck and camper after an accident. In some cases, that could mean removing jacks to avoid contact with the ground for towing and after-accident clean-up. Removing jacks is not something most of us do on a regular basis, so you might not have tools for the job. We recommend evaluating what would be needed, and having these tools with you. The accident impacted and separated the rear axle from the truck. In addition, the driver’s side dually tires were ruptured. As a result, the rig was leaning sharply to the driver’s side. 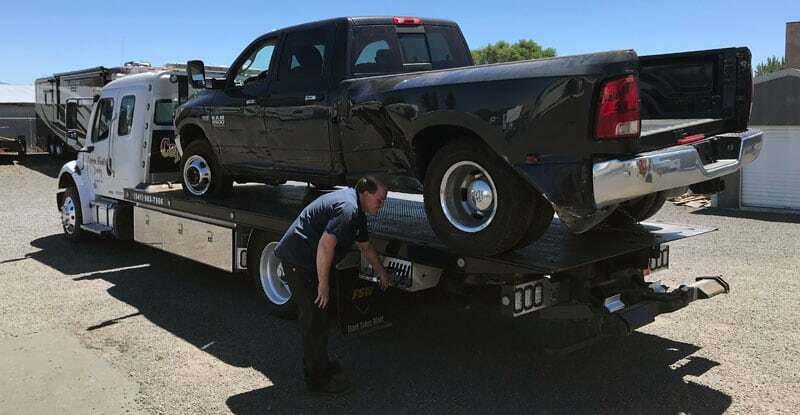 When the tow truck attempted to pull the rig onto the flatbed, the rear driver’s side jack nearly impacted the pavement. This was spotted before it happened, and stopped. Had they proceeded, it very likely would have pulled the jack out and potentially destroyed the camper. 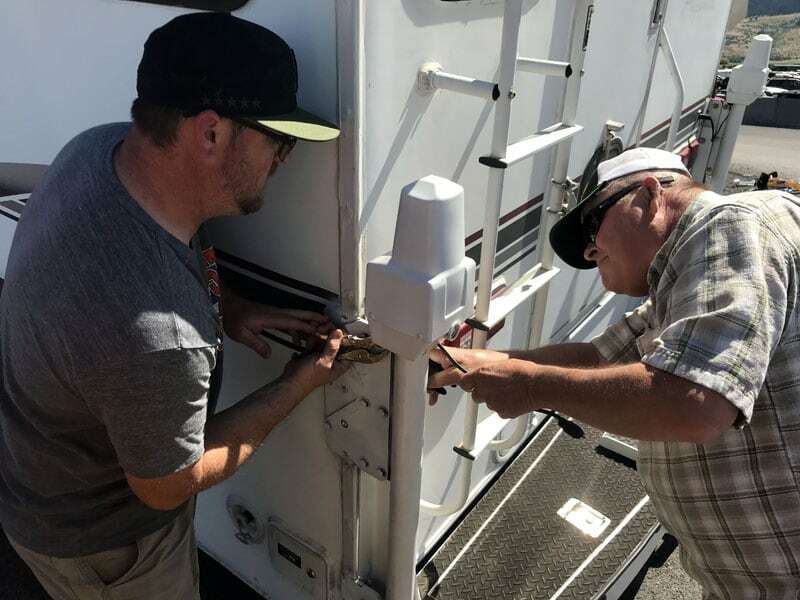 Lucky for us, the Thunder RV team was on hand with their truck and had the right tools to quickly remove the jack. With the jack removed, the rig loaded onto the tow truck without further harm. Items like special floor mats, upgraded mud flaps, seat covers, and even the rubber bed mats are under valued or valued at zero by insurance companies. When possible, remove these items – especially if you are likely to purchase a similar make and model of truck. While you’re at it, remove all of your personal items from the truck. 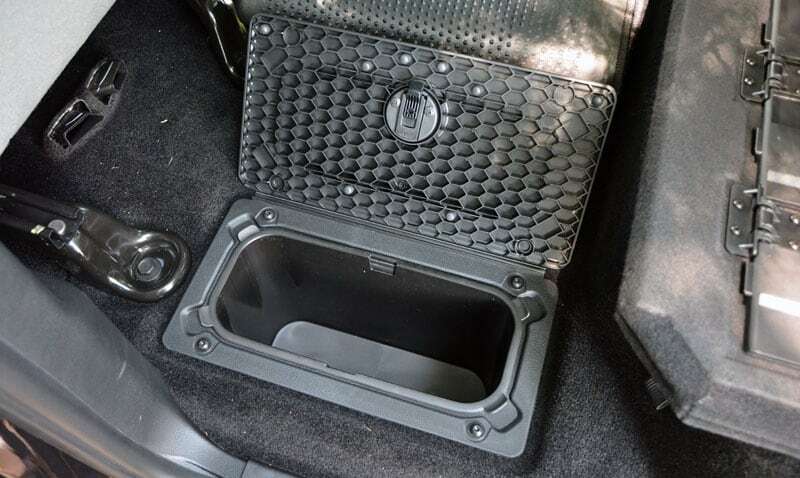 In 2019, that means checking those hidden compartments in the console and under the rear seats and floor. Our truck and camper were towed to Thunder RV. Knowing this was the plan, we didn’t worry about emptying the truck or camper at the scene. The next day we got all of our personal items and the rubber bed mat. We also pulled the Torklift turnbuckles and tie-down arms. We didn’t think to remove the upgraded mud flaps, an oversight that cost us a few bucks later. You may have been on vacation before the accident, but that unfortunately ends at the time of impact. Now you need to write down every phone call, text and email conversation pertaining to the accident. Write down the names and contact information for the police officers you worked with at the accident scene, the insurance adjusters and – of course – the other person(s) physically involved in the accident. Above: Angela took copious notes of everything that happened after the accident. Names and other specifics have been redacted. If there are accident witnesses, it’s very important to get their names and contact information. Basically write down everything you can think of with with dates and times. 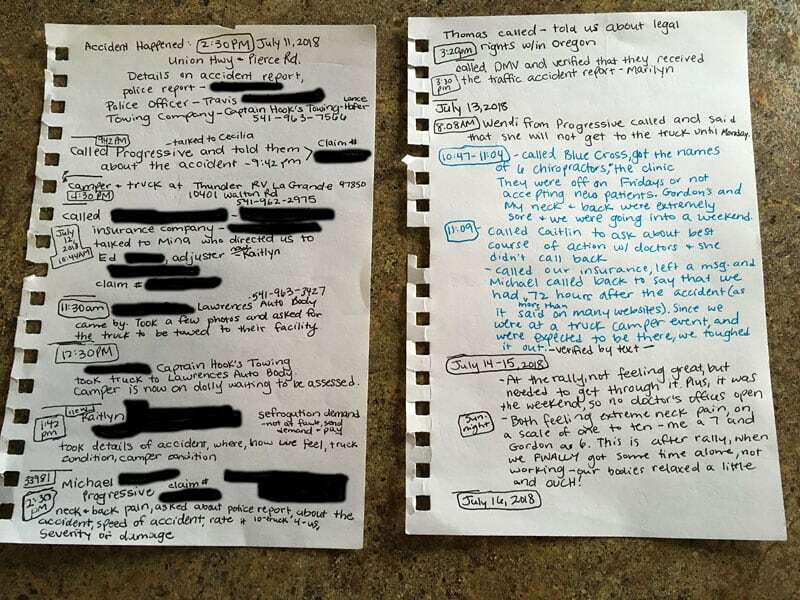 Angela wrote down the date, time, person and the gist of every communication that happened for weeks. She even took pictures of her notes with her phone every day to time-stamp when the notes were taken. That wasn’t necessary for our experience, but it was a good precaution. Insurance companies are not in the business of losing money. They want to give you as little as possible for the required repairs, or total loss. To counter their low-ball offer, look up the value of your truck on Kelly Blue Book (kbb.com) as well as used vehicle websites cars.com and cargurus.com. These will be your comparables. Do your best to find trucks that exactly match the your truck’s year, make, model, options and condition. Bookmark and print these pages and send them to your insurance adjuster. It’s likely that the prices you will find are considerably higher than what the insurance company will offer. Use that information to make the case that your truck is worth more. You can do the same thing with your camper on RVT.com, RVtrader.com, Craigslist.com and eBay.com. Due to a low volume of results, it’s much harder to value a camper than a truck. Do the best you can, and bookmark and print the comparable campers. As expected, the first truck offer by the insurance company was low. It also contained a few inaccuracies about our truck; mostly in our favor. As a general rule, this is why you never accept an insurance company’s first offer. We countered with corrections and the comparables we had found. After about a week of haggling, we got several thousand dollars more for our truck. The insurance company actually told us that our research made the difference with their final evaluation and offer. Our camper was not totaled. The insurance company gave us enough for the initial repair. Unfortunately, the damage to our camper progressed after the initial repairs requiring a much more extensive structural repair. The final insurance settlement for this has yet to be determined. The chances that a truck camper accident happens within a few miles of the closest office for your insurance company are slim to none. You’ll probably be in the middle of nowhere; aka where the best truck camping typically is located. That likely means you will need to wait, and wait, and wait before an insurance adjuster can reach your rig for assessment. It’s extremely hard to be patient in these situations, but that’s the reality. 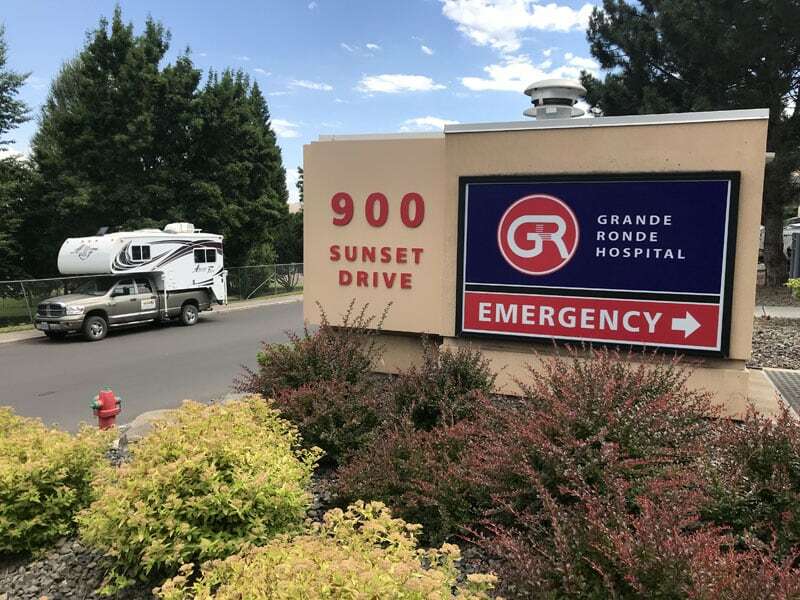 Our accident happened in La Grande, Oregon. We were far from the middle of nowhere, but nowhere near an office for our insurance company. In fact, the closet branches were in Portland – four-hours away. 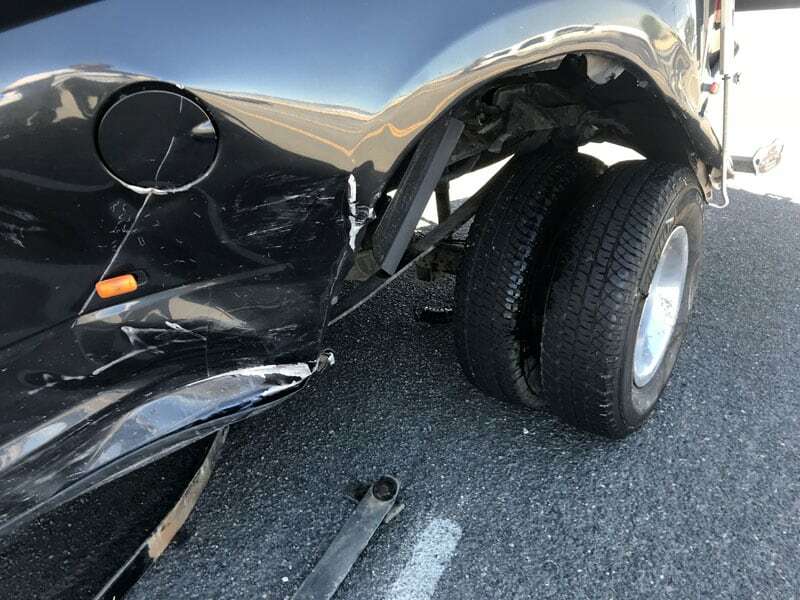 We waited for 9-days before our truck was fully evaluated and totaled. We waited for 12-days before our camper was evaluated for repair. That felt like an eternity. In the meantime, we waited for days for the insurance company to update us on the status of our claim. Then they would call at 9:45am, 2:13pm and again at 4:32pm. Lucky for us our work hours are flexible, but it would have been a nightmare for anyone with a normal work schedule. Had we been hit in Portland (or any other major city area) the stated times would have been cut down dramatically. If we had been hit in a truly remote area, who knows how long it might have taken. Had we been over payload, or in a single rear wheel truck, it’s quite possible that the outcome of our accident could have been much, much worse. As it was, we were hundreds of pounds under payload in a properly set-up dual rear wheel truck. After the impact, I was able to control the truck and safely bring it to a stop. Had we been overloaded, or in a single rear wheel, I may not have maintained control and the rig could have rolled. Instead we walked away. Please match your rigs properly. When we opened the rear entry door after the accident, the rear of the camper looked like a bomb had gone off. Everything had gone everywhere. Even things that were in closed cabinets were out and on the other side of the camper. What if someone had been riding back there? Worse, what if we had rolled and someone had been riding back there? Heck, what if our cat, Harley, had been in there? Based on what we were looking at, the answer would not be good. We insure our truck and camper separately with the same company. After the accident, having separate insurance on the truck and camper through the same company made a big difference. For starters, the separate camper insurance covered the contents of our camper. It also covered lodging while our camper was repaired. And the camper insurance guaranteed we would be compensated for the camper repairs. Our camper is also insured when it’s off the truck. If a tree falls on it, high-winds push it over or a motorhome backs into it, we are covered. Don’t try that with just truck insurance. Many fellow truck campers believe that their camper is insured under their truck or homeowner’s insurance. While this might be true, we can’t imagine attempting to pursue that approach in the after-accident situation we experienced. It’s much better to have your camper insured separately. It should only be a few hundred dollars a year. It might not be the first thing you think of after an accident, but you need to take pictures of everything at the accident scene. I photographed multiple angles of the accident showing the involved vehicles, roadway, light, train tracks, and the condition of our rig. You never know what will come up later that can be settled with a time-stamped image on your phone. We thought we were okay after the accident, but that wasn’t the case. Once the adrenaline wore off, our backs and necks were extremely sore. When we attempted to see a doctor or visit a walk-in clinic, they were either booked weeks out, or refused to see car accident patients. After every other possibility was exhausted, we finally went to the emergency room to get checked out. In retrospect, we should have gone to the emergency room right away. We are not medical professionals and there is no telling what’s wrong after a significant impact like the one we experienced. If you have any doubt, go to the emergency room. The Personal Injury Protection (PIP) person from our insurance company sent us a form that requested unlimited access to all of our medical information – forever. Evidently this is standard practice in the insurance industry. Our concern was that this information could be used against us. For example, if you had a back injury in 2007, they might be able to use that information to deny your accident claim in 2019. What they might not tell you is that accepting this access is optional. In our case, we passed on granting access to our personal medical histories forever and – to the best of our knowledge – it made no difference in our claim. If you’re from a state with sales tax, make sure that sales tax is included in your totaled truck claim. You can also add the fees for truck registration from your state. When we pick up our repaired truck camper this spring and load it onto our new 2018 Ram 3500, this chapter in our life should finally be over. The lasting impact will be how the accident affected our outlook on life. For starters, we definitely have a more powerful sense of urgency about living to the fullest. Seize the day! We also feel incredibly lucky. So many things went right that could have gone the other way. So many people helped us. We will forever be grateful for our good fortune and the wonderful people who helped us. If our story can help others better prepare and handle this kind of experience, then it will be worth it. After all, that Toyota Camry just happened to T-bone the truck and camper belonging to Truck Camper Magazine. On the way to the NATCOA rally we were attending, a couple dozen other truck camper rigs drove that exact road on the very same day. Maybe – just maybe – it was meant to be.